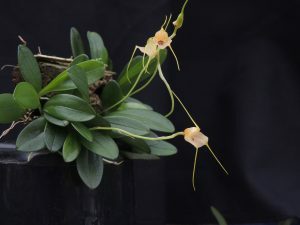 This is a small growing masdevallia species with 5cm leaves that produces lots of relatively large flowers which contrast beautifully with the glossy dark green leaves. 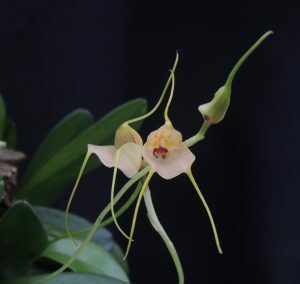 The species is endemic to Venezuela where it grows in deep shade in forests from 1100-1800m altitude. We grow this species in a very shaded spot in our Cool Americas section where it seems to flourish.